Ouch. Good for taxpayers, bad for Carfax. 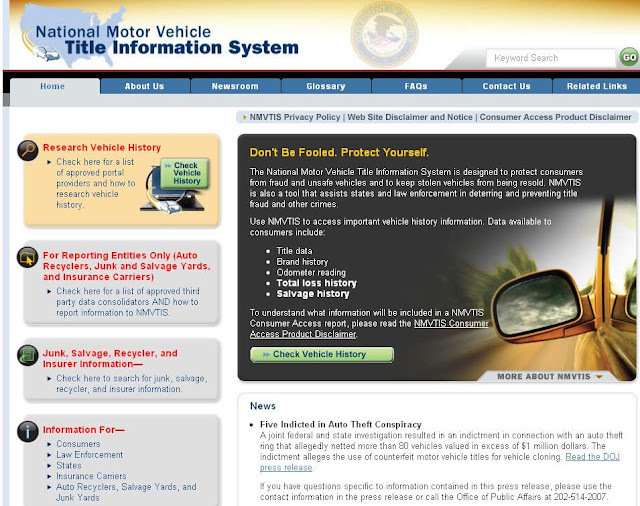 They charge $35 for a 1-car vehicle history report, but are about to be undercut to the tune of 86% thanks to the National Motor Vehicle Title Information System. This is intended to be a federal funded site, though it originated through consumer protection legislation. It will be funded by the $5 user fees and its currently administered by the Justice Department.